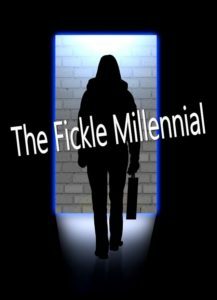 fickle: adjective – changing frequently, especially as regards one’s loyalties, interests, or affection. There’s a new worker on your home health agency doorstep, one of a rising labor force segment known as Millennials, with a great outlook, an impeccable resume, and a sincere desire to make a positive difference in the world. As an employer in the home health industry, you know the risks that come with every hire. Training is time-consuming but necessary, and carries a substantial price tag. It also places an additional burden on an agency staff already stretched thin by patient needs and compliance burdens. There’s no guarantee that your agency’s investment in any new hire will pay off; in fact, odds are that this worker will not remain at your agency for a full year before moving on. Some home health experts estimate that up to one third of all newly-hired clinicians leave their new positions within the first six months. Certainly it’s fair to wonder how the advent of the Millennial worker will affect those odds. This is a matter of growing concern among home health agencies and other employers nationwide, as young adults whose coming-of-age near the turn of the 21st century bring fresh attitudes and new demands to the workplace. Fair or not, Millennials are developing a reputation for much less employer loyalty and far greater expectations of job fulfillment than previous generations. 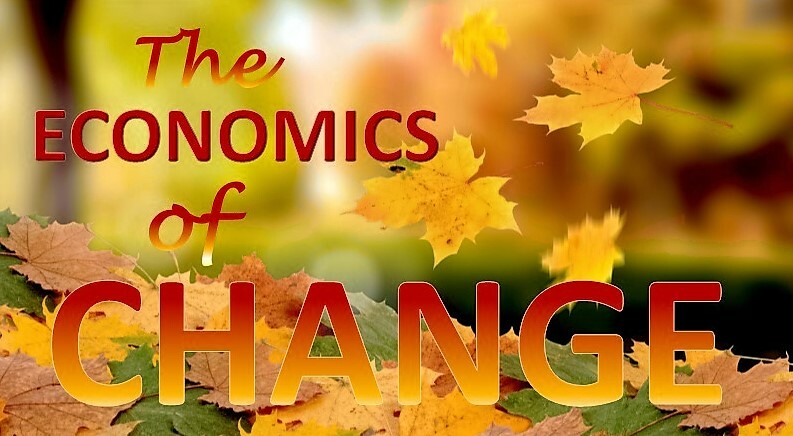 They are more likely to feel discontent and switch jobs at a much higher rate than any previous workforce.Changes in our workforce initiated by a Millennial mindset are expected to accelerate as more enter the labor force and transition into management positions. In the next 8 years, U.S. Chamber Foundation estimates that 3 out of 4 workers will be Millennials. What does this mean for home health? Employee retention is a particular concern for home health agencies, who have learned from disappointing and frustrating experience that many of the clinicians they hire will not make it past the first quarter of employment. One in three of every new hires leaves an agency before the first six months are up, according to Heather Calhoun, Director of Appeals and Special Projects Coordinator for Home Health Solutions LLC. “It takes about six months before a new home health or hospice clinician really begins to know what they are doing in this field,” Heather says. She works with agencies of all sizes to conduct a series of new-hire orientation and training programs for HHS, and finds the turnover rate is the same regardless of an agency’s size, ownership or geographical location. Heather believes this is because the work often turns out to be more challenging than expected. Many nurses come to the home health field from a hospital background, where they are accustomed to less autonomy and more structure – and, often, more sharply defined duties with advance scheduling. They are surprised by increased scrutiny on their documentation, frustrated by constant schedule changes and can quickly feel burdened by a fluid scope of duties. With staff turnover and retention already major concerns for the home health field, how will agencies adapt to an emerging, and perhaps more fickle, workforce? The solution begins with gaining a better understanding of the Millennial mindset. In 2016, Millennials surpassed Baby Boomers as the nation’s largest living generation, according to statistics from the U.S. Census Bureau. For reporting purposes, the Census Bureau defines this population segment as the more than 75 million people who were born within the past 36 years. They are tech-savvy and well steeped in social media connectivity, and nearly one quarter of them are likely to sport tattoos or body piercings, according to U.S. Chamber Foundation statistics. Almost 70 percent of them have never been married, and they seem in no rush to follow the historical trappings of growing up. In general, Millennials tend to take years longer than Baby Boomers to reach traditional milestones such as home ownership or parenthood. Some experts claim Millennials are the hardest working, most motivated and socially conscious generation of workers we have ever seen. Others experts claim that they are lazy, uncommitted and have a deep-seeded belief that they are entitled to privileges and provisions that generations before them had to work to obtain. Regardless of which view you take regarding Millennials, it is becoming clear that it will require a different approach from employers to successfully engage and retain them, but we are just beginning as a society to pay more attention to the how and why of it. Thought leader Simon Sinek recently made waves across social media with his release of a video discussing Millennials in the work place. (Click here to watch the video) In the video, Sinek takes issue with the parenting skills that he believes made Millennials what they are today. Evaluating an entire generation that seems to be set up for emotional failure makes the future look glib and hopeless. Sinek charges in the video that the responsibility for engaging Millennials belongs to employers who hire them. I disagree with several of the points that Simon makes (like marginalizing an entire generation), but overall I agree with his overview of the many challenges Millennials are facing and their outlook. The good news is that Millennials aren’t without work ethic or potential. They want to love their jobs. On survey after survey, Millennials score as much more interested in the kind of work they do, job flexibility and balancing work-life demands than in salary levels or promotions. Those characteristics perfectly position this generation to find purpose and fulfillment in our industry. So how do we as employers align our message with their need for a job with meaning? So why would a Millennial leave a company providing such worthwhile service? The answer is simple. 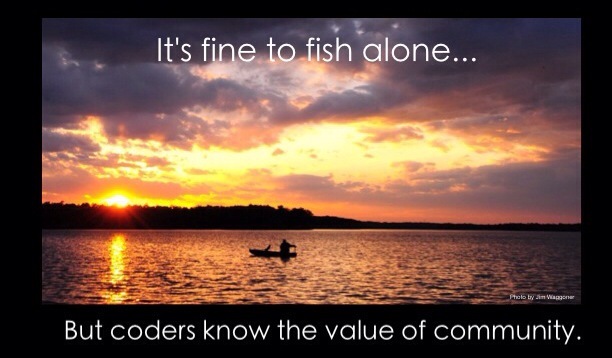 They don’t understand the value they provide and the impact they are making. 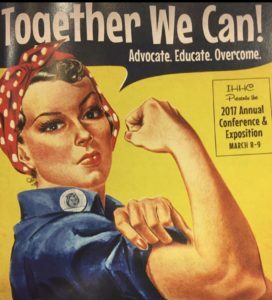 Our goal is not just to hire, maintain and motivate our staff, but also to learn the tools to show them they are appreciated and recognized on a regular basis,” Home Health Solutions Onboarding Specialist and Operations Coordinator Christina Nuqui told a group of home health care professionals at the Home Care Association of Florida’s Winter Warm-up Conference earlier this year. Create a formal Employee Recognition and Appreciation Program. Establish, at a minimum, an “Employee of the Year” system to recognize workers. To the extent possible, build on the annual recognition with many more opportunities. Add an “Employee of the Month” or “Star of the Week” program. The reward can be a small gesture, perhaps a $10 card to buy coffee, or add the employee’s name to a jar for an end-of-the-year drawing to win a larger prize. Remember that Millennials particularly value time off work, so consider offering a day off as a reward. Create an informal culture of appreciation. Being ignored is anathema to the spirit of productivity. On the other hand, simple words of appreciation and encouragement can reap an orchard of benefits. Make it a point to praise your employees in front of co-workers, and highlight achievements on office bulletin boards or in agency newsletters. Millennials may especially appreciate being recognized on the agency’s Facebook page as having made worthwhile contributions. Yes, it takes extra time to do these things, but the payoff is invaluable. We’ve all seen and heard of Silicon Valley software companies that provide full service restaurants, sleeping rooms, and even video arcades to entice potential employees. While that can draw talent, that is rarely what ensures loyalty to an employer. Getting employees – especially Millennials — to buy into your agency’s goals means making sure they feel that their input is welcomed and valued, that their suggestions are opinions are listened to, and that feel they have a valid stake in the ultimate success. It may be as simple as putting up a whiteboard in the agency office with a big, “What do YOU think?” written across the top. Invite employees to answer questions such as, “What did we do well this week?” and “What do we need to do better?” Be sure to acknowledge what employees write there. Historically, career advancement was necessarily guaranteed, but college graduates today are looking to build a career that is rewarding and full of growth opportunities. The Deloitte Millennial Survey 2016 discovered that 63% of Millennials say that their leadership abilities are not being developed. How are you developing your Millennial talent? Do you provide opportunities to develop new skills or give them opportunities to prove themselves? Each time an agency brings in new technology or invests in a new electronic medical records software, challenges abound. In general, Millennials possess a near sixth sense for technology. Don’t get me wrong; there are plenty of exceptions, but you will rarely have to show a member of this generation how to send or upload a photo and how to operate new equipment. They have been taught or have simply learned how to type, interact with computers, and generally how to find information that they may not have quick access to. This combined with an aversion to “doing things the way they have always been done” makes them an asset worth developing. Of all the changes home health and hospice agencies must make to better engage and retain Millennials, this may be one of the hardest and most important. Work flexibility has moved from a “nice perk” to an absolute requirement for much of this generation. They have seen the ill effects of distant parents and consider it vital to maintain good work/life balance. As an employer, try to cut them loose when they request it. Studies have concluded that Millennials not only respond well to that flexibility, but tend to work harder and stay longer when necessary. The home health field is growing more challenging and complex each year, with increasing regulatory demands and growing pressure to adapt quickly and thoroughly to constant change. There has never been a stronger need for smart, self-motivated employees with a passion for helping others and an innate appreciation for flexibility on the job. Millennials bring that skill set to the home health marketplace. Employers who take the time to understand this generation’s need to be valued and to feel they are providing value will be able to successfully tap into this burgeoning segment of the labor force, creating the professional environment necessary to turn fickle Millennials into long-term, committed employees. Jason Lewallen has helped hundreds of agencies grow and rise to their potential. He is an industry author, a technology evangelist, a seasoned speaker, and a trusted voice. His passion comes in the form of assisting agencies to have the resources and finances they need to fulfill the mission that each agency set out to do. 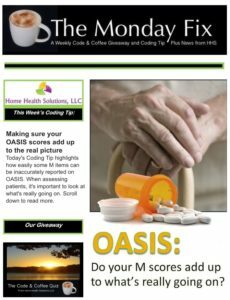 EDITOR’S NOTE: This article first appeared in The Absolute Agency, the e-newsletter Jason prepares each month for Home Health Solutions as a free best practices resource for administrators, executives and leaders in home health and hospice. Click here to subscribe to The Absolute Agency. Editor’s Note: Jason Lewallen is Director of Sales and Marketing for Home Health Solutions and a noted speaker, blogger and author in the home health field. This article first appeared in SOLUTIONS, the monthly e-newsletter from HHS. Outsourcing is a hotly debated issue in the home health and hospice industry. 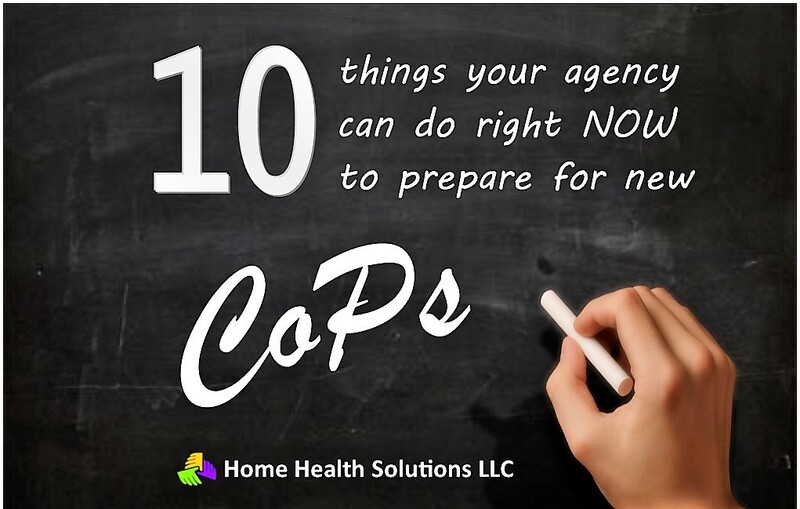 Home health agencies know they need to narrow their margins while maximizing their reimbursement, but historically, it has been thought to be more beneficial to have a person on staff to handle each part of the process. This especially applies when it comes to clinical matters. Legal risks, privacy concerns and the delicate nature of our business makes us wary about trusting another entity with these matters. Whether outsourcing is the right option for your home health agency depends largely on how you answer the following questions. Do you really need a specialist? In a fluid health care market where guidance changes frequently, regulatory demands are constantly evolving and penalties are formidable, agencies recognize the indisputable value of staying fully informed and well trained. Even so, agency leaders often struggle to justify hiring specialized services. The simple fact is you would not ask a plastic surgeon to treat cardiac issues. Even as a legally practicing physician with a medical background that encompasses many of the basic concepts of how the heart works, the plastic surgeon lacks the specialized training needed to adequately address the cardiovascular system. 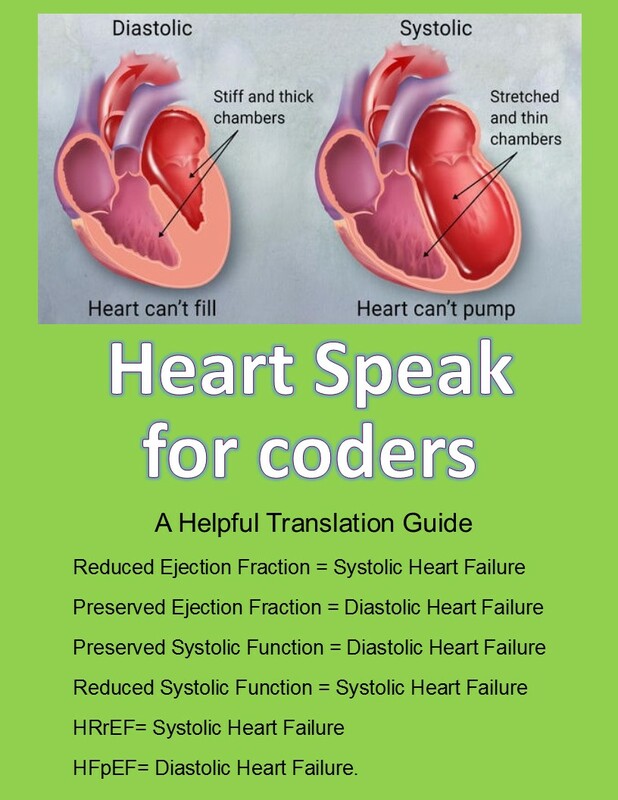 The best results could be expected from the cardiac specialist. The same logic applies to obtaining the best results for your home health agency by outsourcing coding services. The best clinical consultants who handle coding and OASIS review are uniquely trained to maximize your reimbursement and reduce your compliance risk. 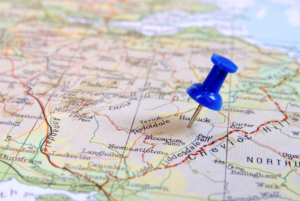 How will outsourcing affect reimbursement? The difference in reimbursement when switching from in-house coding to outsource coding varies from agency to agency. There is always a chance that you have an optimized coding team who can deliver optimum results, although that is not what is commonly discovered. A reputable provider will work with you to evaluate whether you are achieving the maximum reimbursement that you are due. Remember, this is money that you should be receiving when there are no coding errors. While averages vary, most outsourcing partners can generate $200-$300 per chart for a majority of their clients simply by correcting coding errors and helping review the OASIS to ensure compliance. At a loss of just $100 per chart, an agency might be looking at $20,000 in recovered losses for just 200 patients. Outsourcing has other benefits in addition to making agencies more profitable. It frees agencies from worrying about benefits, sick days, or performance issues. Can you trust the specialist? This can be a loaded inquiry. We’ve all known a few subpar medical professionals, and frankly there are coding firms which do not perform at the necessary level of expertise. Having a partner who will ensure that you get the full reimbursement due to your agency for each episode is critical. Choosing the right one requires knowing what to look for and what to avoid. The right firm will have credentials, experience and a reputation in the industry for consistent performance. It will offer a demonstrable commitment to monitoring industry regulations and providing the support you need for clinical and financial success. Look for a firm headed by a confident, approachable coach who is in demand as a leader and teacher in the industry and can build a solid case for increased outcomes for your agency. Verify that you are working with a team of experienced clinicians who know how to evaluate a clinical narrative. Some outsourced coding providers will certify non-clinical individuals to save money. In the long run, this can damage the integrity of your organization and more often can help to drive down your outcomes scores as well as your reimbursement. Another valuable area to explore the process and ease of accessibility. Some outsource providers will require you to scan or fax mass amounts of information or have a long series of steps that make working with them seem like you are working for them. Others will not be able to guarantee that you will receive your work in a timely fashion. These days, the best providers can actually work within your electronic medical record (EHR) system to improve the timeliness of chart completion while minimizing the work required of clients.Regularly scheduled reviews to evaluate your coding and OASIS for optimization can help you determine whether an in-house coding specialist or an outsourcing partner may be the more viable and cost-efficient solution. Your agency may well have the top-notch coding talent that is helping you get the maximum reimbursement, but in today’s home health market, can anyone afford not to be sure? 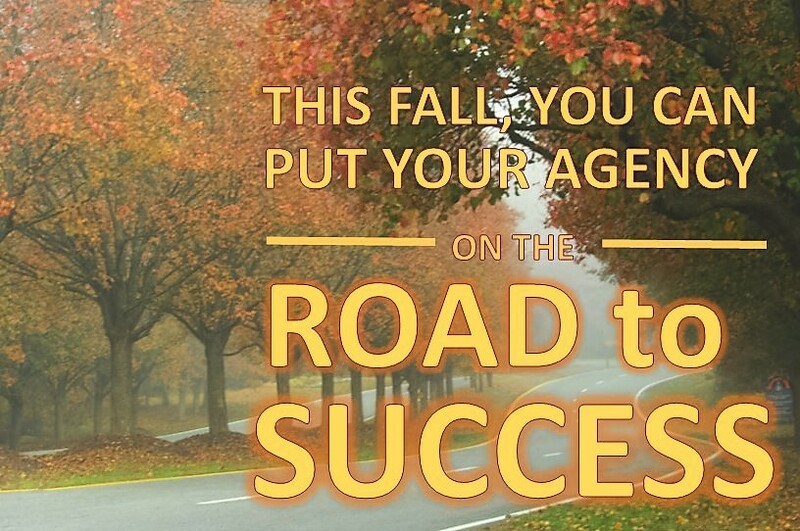 Where is your home health agency’s focus this fall? Smart home health agencies are focusing their efforts on housekeeping, trying to shore up bottom lines by rectifying errors and inconsistencies that result in costly claims denials, and scheduling crucial training for all agency staff. The four cornerstones for success in today’s home care market are training, internal reviews and audits , preparation and streamlining operations, according to Home Health Solutions owner and president J’non Griffin. If your agency isn’t working on at least one of these areas right now, it’s losing ground in the effort to stay abreast of industry regulations and maintain clinical and financial success. Did you know home health agencies lose, on average, $200 to $300 per episode to coding and OASIS errors? The money agencies spend on staff training is more than recouped in improved performance of its employees. Home Health Solutions provides convenient online training courses available through our online store for continuing education credits. But we realize not every agency has the same training needs, so we also work with agencies to provide customized training and education. Our goal is to provide the solutions your agency needs. Contact us today to talk about how we can help you. The goblins and gremlins may not getcha this Halloween season, but the glitches sure will. Errors and inconsistencies are the hobgoblins of the home health field, resulting in costly claims denials , Survey issues and more. Smart home health agencies are conducting self reviews and analysis on every level to find glitches before surveyors do. But there’s only so much time in a day — and it’s often hard to be objective about self evaluation. Our Mock Audits are the resource agencies need to experience firsthand the same thorough investigation a real Survey would bring, allowing agencies to clean up errors before there are costly consequences. Click here for details about the value of a Mock Audit. 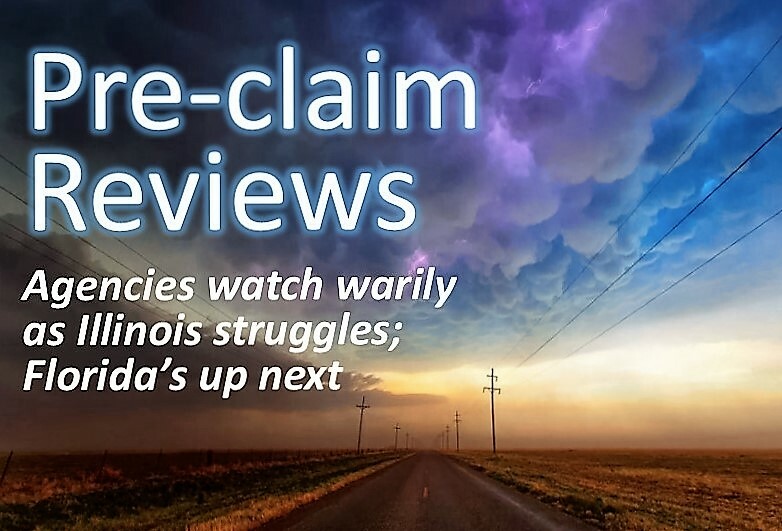 When CMS suspended rollouts of pre-claim reviews after a disastrous initial experience in Illinois, home heath agencies breathed a collective sigh of relief. But the reprieve is only temporary, and smart agencies are using the extra time to get prepared. From Value-Based Purchasing to pre-claim reviews, a new way of doing business is on the horizon for home health agencies, and meeting the new requirements is going to take a strong commitment to adequate preparation. Order our DIY Pre-Claim Review Preparation Kit for just $25. It’s the compass your agency needs to get started on the road to preparation. It takes time, manpower and relentless commitment on the part of home health agencies to stay up-to-date on current regulations — and it can’t come at the expense of an agency’s primary focus on patient care. More and more agencies are determining that the most cost-effective means of doing business is to outsource all or some portion of operations. And we’re not just talking about coding, OASIS or billing. Some agencies need help with specific aspects such as developing POCs, handling ADRs or service specific probe reviews. No matter what your need is, we have the solution. Give us a call today at 888-418-6970 and see what we can do for you. It may be the season for goblins and gremlins, but in an era of unprecedented regulatory scrutiny for the home health field, it’s the glitches home health agencies really need to worry about. 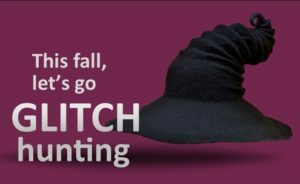 Errors, oversights, and inconsistencies are the hobgoblins of the home health industry, carrying high price tags in the form of claims denials – or, even more frightening, fraud investigations and hefty fines. And, to frame things in the spirit of the season, the scary shadow of scrutiny is looming larger. The future of home health is filled with quality improvement requirements that have not yet been fully determined to be either tricks or treats, but home health professionals know they’re coming, sooner or later. From value-based purchasing to pre-claim reviews and a proposed new Condition of Participation for Medicare, agencies are feeling the squeeze to reduce errors and improve performance. There’s pressure to become faster as well as better. While the Centers for Medicare and Medicaid Services has temporarily delayed rollouts of pre-claim reviews to give agencies more time to prepare, home health experts agree, by and large, that the eventual implementation will force agencies to speed up as well as fine-tune their processes. 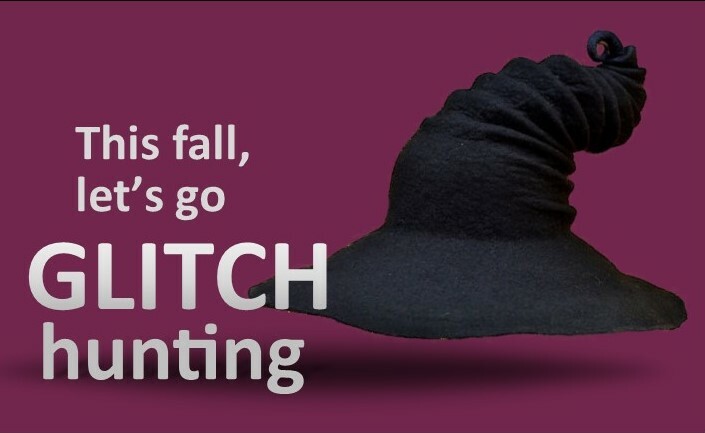 This season, Home Health Solutions owner and president J’non Griffin recommends agencies who are serious about success take a broom, figuratively speaking, to the cobwebs and shine a light into every dark nook and cranny, to ferret out the vulnerabilities in the operation and take corrective action. Done well, self-assessment takes extra time, and for an agency already struggling under clinical and operational demands, creating the time for self-evaluation can seem like an overwhelming task. It’s hard to remain objective and easy to overlook crucial details that surveyors won’t miss. Many agencies are finding the solution is to rely on outside firms to provide the thorough and objective assessment needed to identify compliance risks and provide a plan of remedy. What does a Mock Audit entail? From identifying expired items in an agency’s supply closet to revealing inaccuracies in its personnel files, a Mock Audit can be a comprehensive tool for determining exactly where an agency is headed for trouble. It’s conducted exactly as surveyors would conduct the real thing; once scheduled, there’s no advance notice given to staff. A team spends 1-3 days on site, depending on the size of the agency being audited, with some team members remaining in the office to audit charts and personnel files while other team members conduct home visits in all disciplines. An exit interview concludes the process, and the findings are shared with the administrator along with recommendations for improvement so that a plan of correction may be implemented. Education tailored to address specific deficiencies can be arranged. “A Mock Audit gives the agency staff an opportunity to practice for the real thing so that they will have an idea of the survey process, whether it be state Survey or advanced accreditation,” says Heather Calhoun, Director of Special Appeals and Project Management at HHS. She recommends agencies schedule an annual Mock Audit to help control compliance risks. “There’s no better way for an agency to determine areas of weakness and potential risk,” Heather says. Jason Lewallen, Director of Sales and Marketing at HHS, agrees. Findings can result in financial gain to agencies, because audits often identify specific areas of improper documentation that result in claims denials. “Mock Audits offer agencies the opportunity to fix errors before the organization is negatively affected by claims denials as well as accreditation or state Survey,” Jason says. The cost of the audit, like its duration, depends on the size of the agency and a few other variables. Give HHS a call today to discuss how a Mock Audit can help shore up your operation, and put your agency on the road to success this fall. That’s the word of the day for home health agencies in Florida, where there is industry-wide relief in the wake of a last-minute decision by the Centers for Medicare and Medicaid Services to suspend a pre-claim reviews rollout. The rollout was set to begin Oct. 1, but home health industry advocates and state lawmakers have lobbied hard to postpone the program, saying agencies are not prepared to meet the extra burden of preparing and submitting pre-claims. Opponents pointed to a disastrous six weeks of initial efforts in Illinois, the first state to be included in the pre-claim demonstration, where very few pre-claims were approved on first submission. The Home Care Association of Florida was among the industry advocacy groups cautioning that patients needing home care were at risk as agencies scrambled to meet the pre-claims review burden. HCAF officials expressed relief Monday over the decision by CMS to grant agencies additional time. 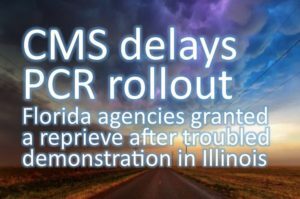 No new timeline has been provided for the PCR demonstration in Florida or in other states which were previously scheduled to become part of the PCR demonstration over the next few months. Texas, Michigan and Massachusetts were on track to become part of the demonstration by Jan. 1. CMS has indicated it will provide a 30-day notice before resuming the demonstration. The demonstration already underway in Illinois is not included in the suspension, and will continue. 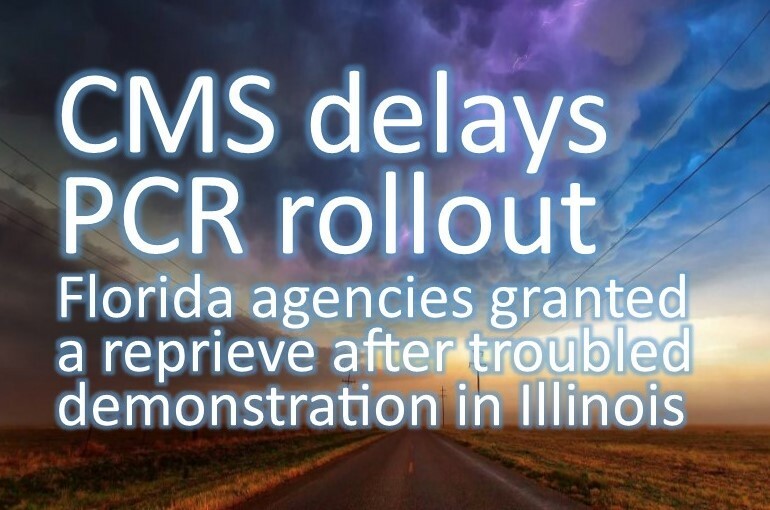 In making the announcement, CMS acknowledged that problems experienced during the initial rollout in Illinois showed additional education will be needed before the demonstration can proceed. In Illinois, the demonstration that rolled out Aug. 1 has been marked by widespread non-affirmations, with an estimated 80 percent of first submissions failing to meet approval. A large number of non-affirmations were based on the failure of agencies in Illinois to establish homebound status of the patient and medical necessity for home health services. “This delay gives home health agencies some much-needed time to better prepare for the pre-claims review demonstration,” says J’non Griffin, owner and president of Home Health Solutions LLC. Home Health Solutions has a great DIY Kit to get your agency started, and it’s priced at just $25. Give us a call at 888-418-6970. Many agencies are also considering outsourcing the preparation and submission of PCRs. 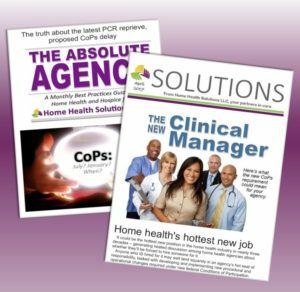 Home Health Solutions is working with agencies who need PCR assistance, and will be glad to speak to you about how we can help your agency. Do you know the two primary risk areas? 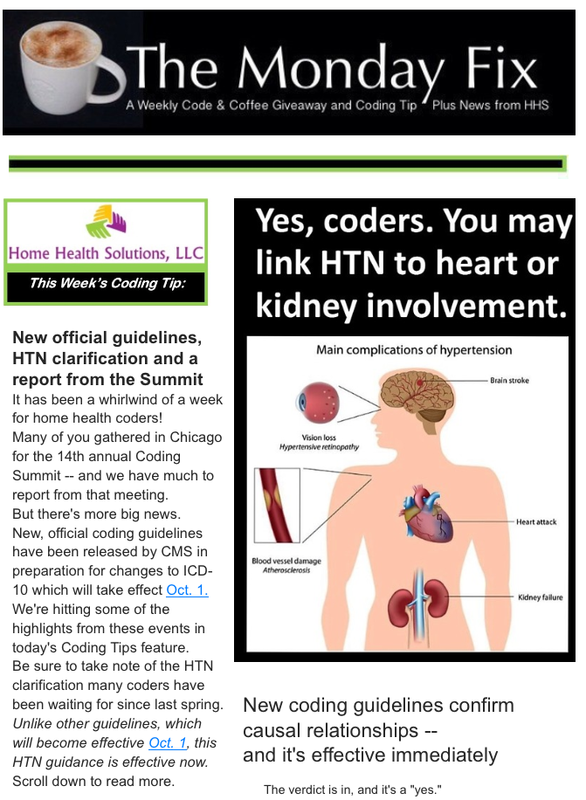 This article first appeared in the September issue of SOLUTIONS, a monthly e-newsletter from Home Health Solutions LLC. If you’d like to receive our free newsletter, click here to subscribe. 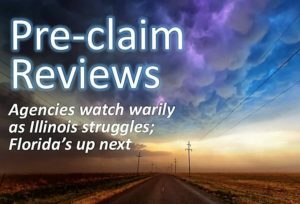 Six weeks into the first Medicare pre-claim review demonstration in Illinois, the rest of the home health field is watching, hawk-like, to assess the damage and determine industry-wide risk. What’s being denied? How bad is it? How can agencies insulate themselves? “As a whole, it’s not going well,” reports J’non Griffin, owner and president of Home Health Solutions LLC. “One agency has reported getting no non-affirmations — and they say they are uploading 80 to 100 different pages to justify the care for each claim. Agencies have reported individual claims taking up to an hour each to submit. Some say they are unable to stop and save partially uploaded submissions once the uploading process has begun. Several agencies say they have repeatedly been told their submissions are illegible. Many say their documents were lost during transmission. The number of disappearing documents prompted CMS at one point to advise agencies to rely on fax submissions rather than electronic. Currently, NAHC is lobbying Congress to suspend the next rollouts planned in Florida, Texas, Michigan and Massachusetts between now and the first of the year. Florida legislators are taking the lead in the opposition, since Florida is next in line with an Oct. 1 rollout. But the clock is ticking, and despite overwhelmingly negative reports from home health agencies in Illinois, attempts by lawmakers there to suspend the process, and current efforts of Florida lawmakers to delay the next round, it seems likely for now that the pre-claim demonstration will move forward. “To successfully meet the new burden of pre-claim reviews, home health agencies need to get much faster, with fewer documentation errors and oversights, expedited turnarounds, and a thorough understanding of exactly what is expected of them,” J’non says. Industry experts agree that agencies will almost certainly be forced to hire additional full-time employees to meet the burden of pre-claim reviews. Generally, they estimate that for every 100 to 350 patients an agency serves, an additional one-and-a-half FTEs (one RN and one clerical) could be required. For many agencies, however, a faster and more cost-effective solution may be to outsource the preparation and submission of pre-claim reviews. 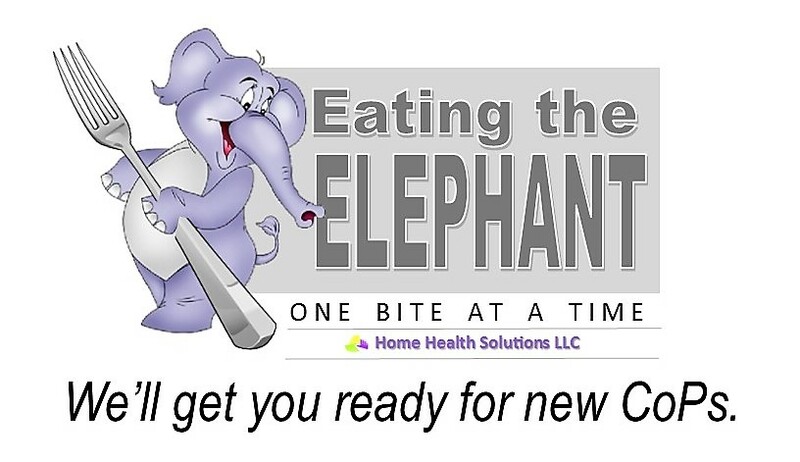 Home Health Solutions is now working with agencies needing assistance with PCRs. “Agencies are discovering, as the requirements placed upon them increase, that it often makes more sense financially to outsource coding, billing and many other services so that they can focus on patient care,” J’non says. For agencies choosing to navigate the PCR process on their own, J’non recommends purchasing a helpful tool from Home Health Solutions. Think of the PCR Do-It-Yourself Kit as a $25 compass to point your agency in the right direction to steer through all the necessary paperwork. A checklist and staff tutorial are included. 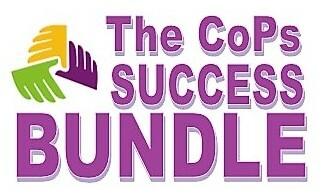 To order, call HHS at 888-418-6970. 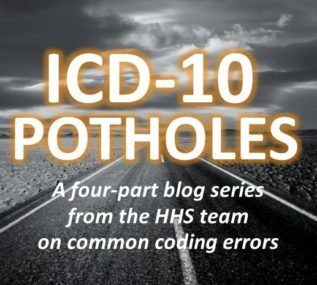 Agencies must streamline their operations, with faster turnaround times for coding, for developing a Plan of Care and getting the physician to sign off on it, and for collecting all documents needed to submit the pre-claim review. Efficient teamwork will be an essential part of streamlining operations, J’non says. Identify key staffers and their responsibilities, and make certain there is no confusion about who is responsible for each step in the process of completing documents and collecting necessary forms to submit and re-submit claims. Develop a back-up system to avoid delays in the event a key staffer becomes unavailable. Determine who will be responsible for follow-up, and how often. Make certain the person submitting pre-claims has immediate access to all required documentation and billing information. Review the process with the full staff, stressing the need for timeliness and accuracy. Put policies and procedures in writing for easy access to avoid confusion or delays. Agencies in Illinois are reporting that a high proportion of pre-claim reviews are being rejected on the basis that the patient is not homebound or the care is not shown to be medically necessary. J’non recommends agencies look closely at their supporting documentation to make certain they have correctly established both patient eligibility and medical necessity. To be considered homebound, the patient must be unable, due to illness or injury, to leave home without special equipment or assistance from another person. Be sure to document WHY the illness or injury requires special equipment or assistance. Document the impact on the patient from any excursion outside the home, the reason for the trip, and the effort required to leave home. Make certain Face-to-Face documentation specifies why the patient is homebound. The physician’s note must specifically address the reason the patient needs home health services. Review, review, review. Agencies can’t do too many in-house reviews and self-evaluations as they attempt to shore up compliance risks, limit oversights and reduce errors. Accurate completion of the OASIS, especially in preparation for C-2 revisions which take place Jan. 1. This data collection tool offers numerous areas where clinicians can become confused. The HHS team frequently sees agencies making mistakes as simple as entering dates in the wrong place on this form, erroneously establishing non-compliance. Proper documentation of Face-to-Face Encounters. Make sure the physician has documented the date of the F2F Encounter and provided the reason home care is necessary. A clinical note from the physician will be required, not just a form, and the content of the note must address the reason the patient needs home health care.The signature of a nurse-practicioner or other provider on the F2F will not suffice unless it is a co-signature with the physician. Even if the nurse-practitioner performed the F2F, the certifying physician’s signature and date will be necessary. Review all F2F dates to make certain there are no discrepancies. Mismatched dates are automatically denied. Attach the assigned pre-claim number to all final claims and resubmissions. For re-certifications, be aware that the re-certification statement on the projected length of time the patient will need home care will need to be submitted separately from the Plan of Care. Also note that the projected length of care will shorten each time the patient is re-certified unless there is a documented reason showing why that is not the case. In a recent workshop on pre-claims reviews, Palmetto representatives stated that the re-certification statement is expected reflect a shorter duration for each episode of home health care for which the patient is re-certified. The first re-certification projection, for example, might be six months, but the next re-certification projection would be only four months. Be sure to include supporting documentation showing the need for any change in the projected length of stay. Agencies will need to shore up training in many areas in order to reduce compliance risks and achieve success in today’s challenging home health market, J’non says. In particular, she recommend OASIS training and F2F review to prepare agencies to better handle pre-claims reviews. 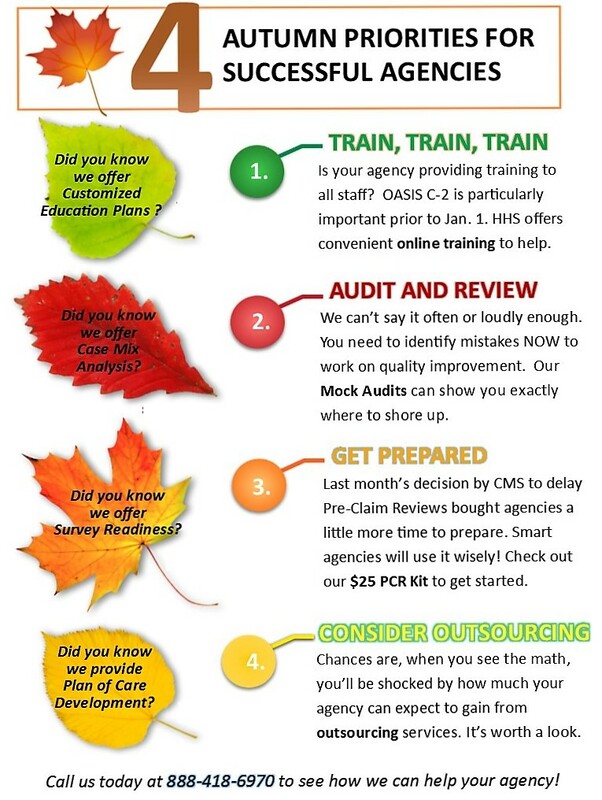 HHS offers online training for both in its online store, with 8 CEUs offered for the OASIS course. Click here to shop the online store now. Are you a home health coder interested in keeping up with frequent changes to the ICD-10 classification set, and how it’s interpreted? If so, you need a regular source of information to keep you updated. 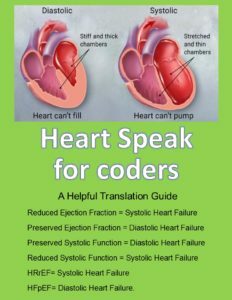 Maybe you’re new to home health coding, in need of free practice scenarios and study material and eager to sharpen your coding skills as you prepare for your home health exam. Either way, you need a supportive community of coders to help you navigate the complexities of the field you’ve chosen — and Home Health Solutions LLC has the solutions you need. 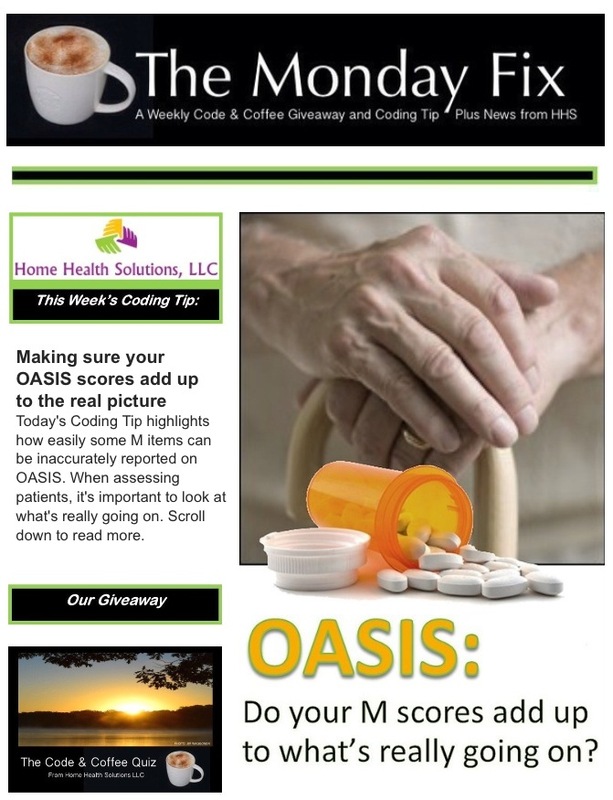 Our free weekly e-newsletter is filled with coding and OASIS tips as well as other news of interest in the rapidly-evolving home health field. We know you’re busy, so we deliver it straight to your Inbox every Monday. 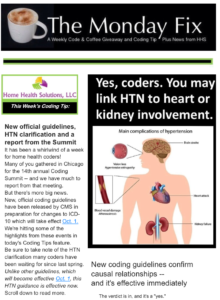 Recently, we’ve featured an update on new guidance regarding the link between HTN and heart or kidney involvement, a look at a common OASIS error regarding the entry of dates, and a refresher on the use of the 7th character in wounds coding. 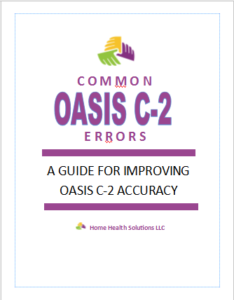 We’re working now on a series of helpful tips on fractures coding and more common OASIS errors. If you haven’t subscribed, click here to add your name to our list and you’ll begin receiving this helpful free e-newsletter next Monday. It’s a great time to subscribe, as we’ll soon begin highlighting some of the changes to the ICD-10 classification set that will become effective Oct. 1. Are you looking at the Home Health Solutions web site regularly to discover all the helpful info we post there? Did you know that we keep a CODING TIPS ARCHIVE on our web site, where some of the coding tips from our weekly e-newsletters are featured in case you missed them? If you like visual aids, be sure to click here to check out our helpful infographics, such as the one pictured at left. These graphics are designed to pack helpful information into a visual form, and can be printed out for you to keep with other useful tips. Your agency may benefit from “Think Like an Auditor,” our free report on the Top 25 Documentation Errors the HHS Team encounters when working with home health agencies, or by taking THE HHS SECURITY QUIZ, a 5-minute tool designed to help you target areas where you may be out of compliance. The Security Quiz highlights many items which will be noted during Survey. And, speaking of Survey, did you miss our blog post on an often-overlooked but important area: “How Does Your Agency Handle Complaints?” It offers a helpful list to help your agency shore up the way complaints are documented and addressed. 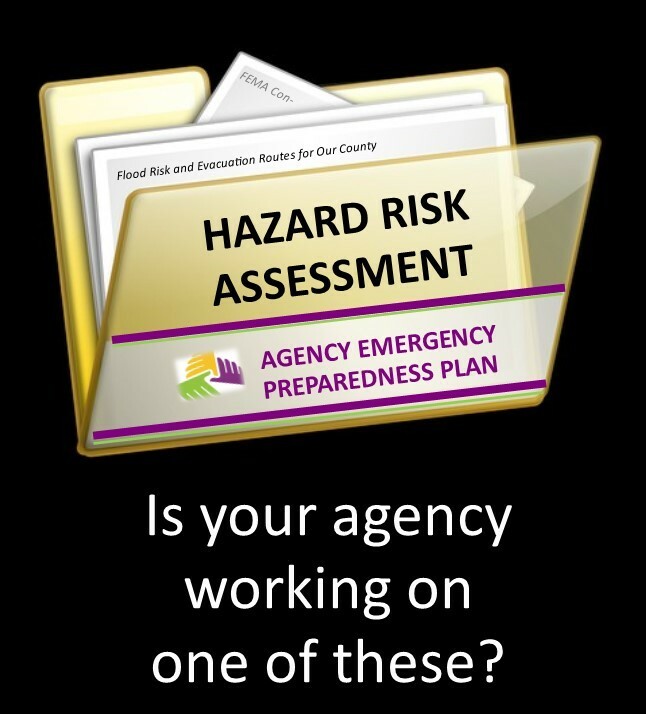 Be sure to share the links to these items with the appropriate person in your agency. 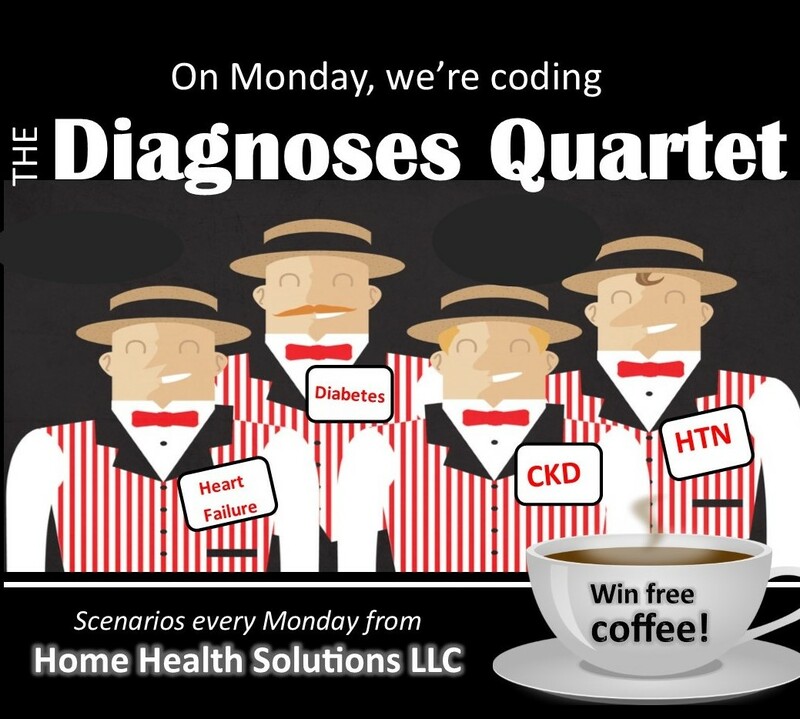 Whether you’re a veteran or a novice at home health coding, we have a great educational tool for you every Monday on the Home Health Solutions Facebook page. 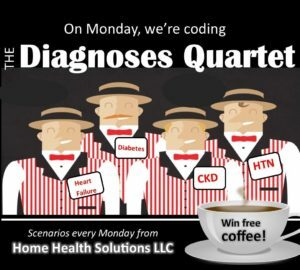 Our Code & Coffee Quiz posts a home health scenario with multiple-choice coding sequences, inviting coders to tell us in the comments which sequence they like best and why. One of them is rewarded (in a random drawing) with a $10 e-card to Starbucks — but everyone’s a winner on this weekly quiz, because of the learning opportunities it provides. Recent scenarios have featured great examples of new coding guidance on presumed relationships and examples of diagnoses that require a step beyond — and then two more beyond that — with regard to specificity. We know you need CEUs and training to stay abreast of constant change in the home health field, so we’re constantly working on new online training programs for you. When Home Health Solutions owner J’non Griffin isn’t on the road to teach a workshop or take the stage as a featured speaker for an industry event, she’s recording online training classes. She just finished an OASIS C-2 update, designed to address revisions which will become effective Jan. 1. It’s worth 8 CEUs. Check it out in the HHS Online Store. While you’re there, browse around a bit — and be sure to take a look at our Absolute Auditor classes. These classes are offered both online and in person. At HHS, we’re committed to helping home health coders and home health agencies achieve excellence. After you check out the blog posts, classes, newsletters and tools mentioned here, check back soon to see what other helpful information we’ve assembled for you. A great way to stay in the loop is to “like” us on Facebook so that our posts will appear in your Newsfeed. There’s a “like” box on the bottom right side of this post, to make it easier.